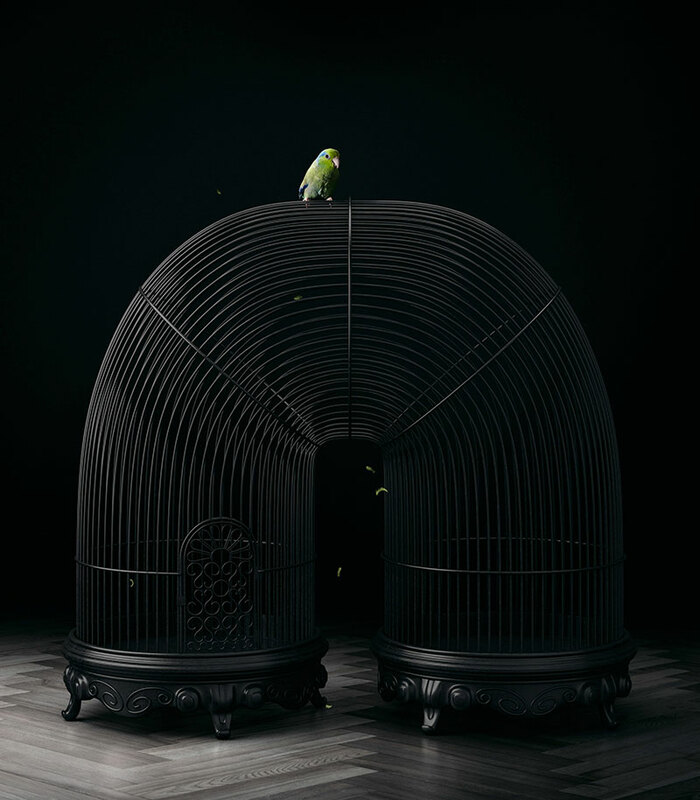 This project by Michigan-based digital artist Mike Campau combines photography with CGI to create what he describes as "an escape from the odd and dark world we live in." 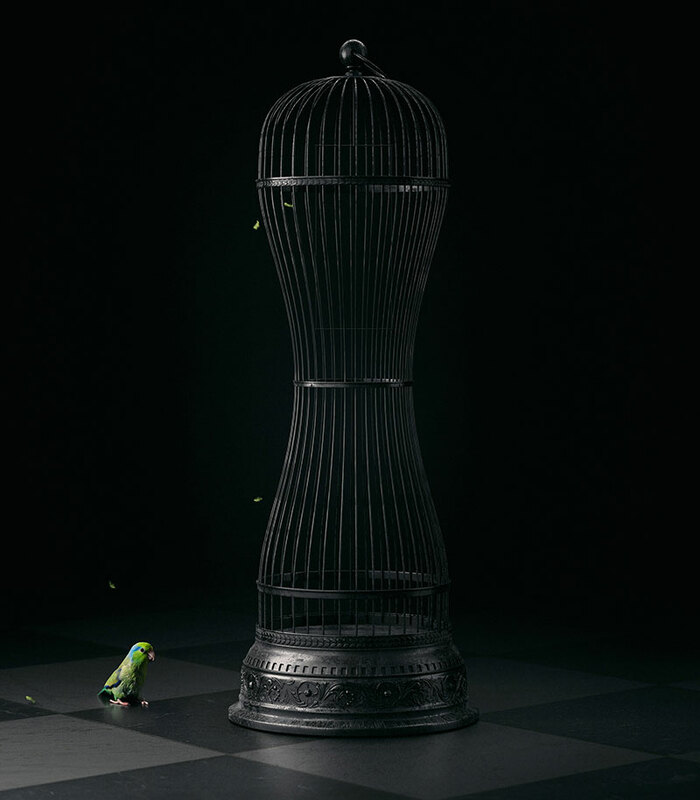 The conceptual cages were done in CGI while the bird, which has escaped, is a photograph. 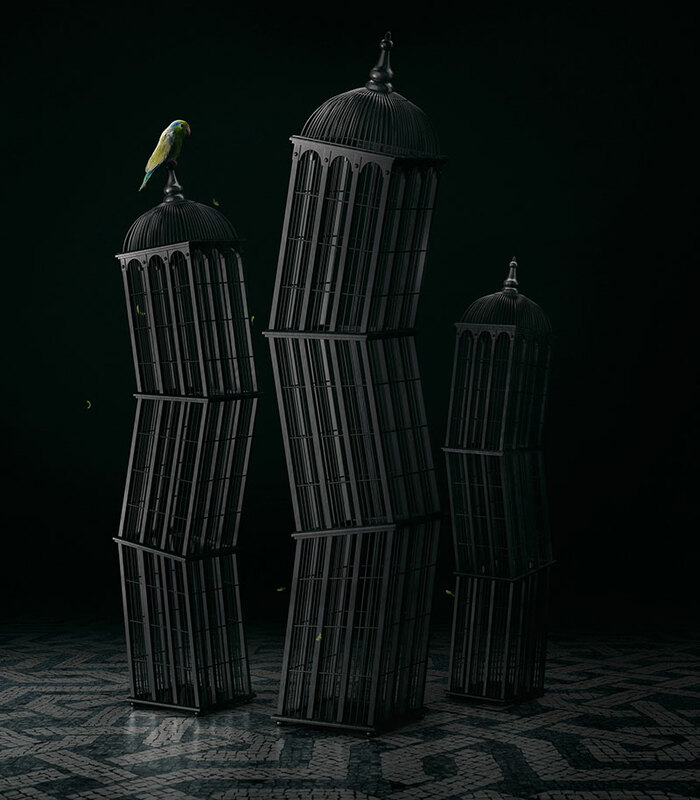 For some reason, the images remind me of the 1998 film Dark City in which the characters have the ability to stop time and physically rearrange the city as well as changing people's identities and memories. 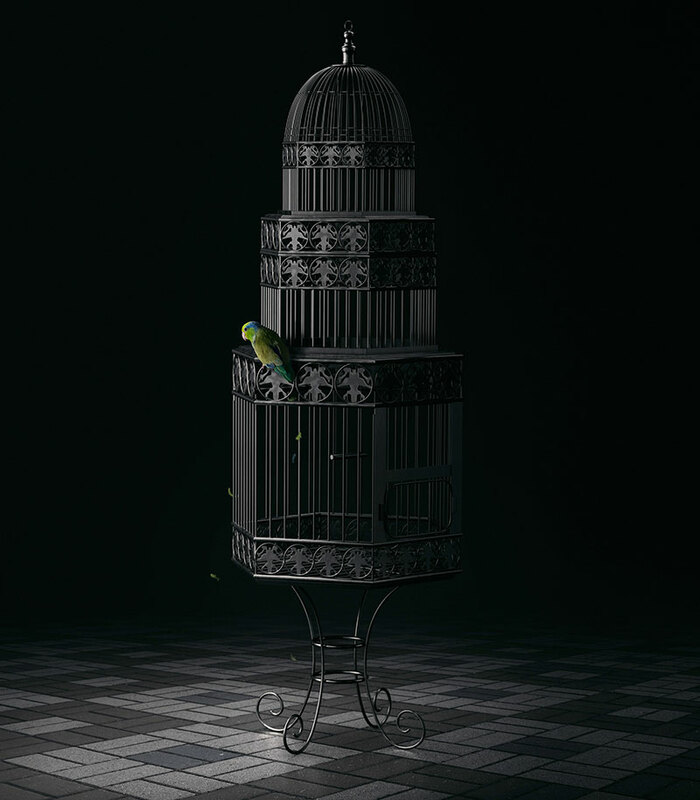 Maybe it's the combination of the menacing-looking cages with the burst of color represented by the lone bird. 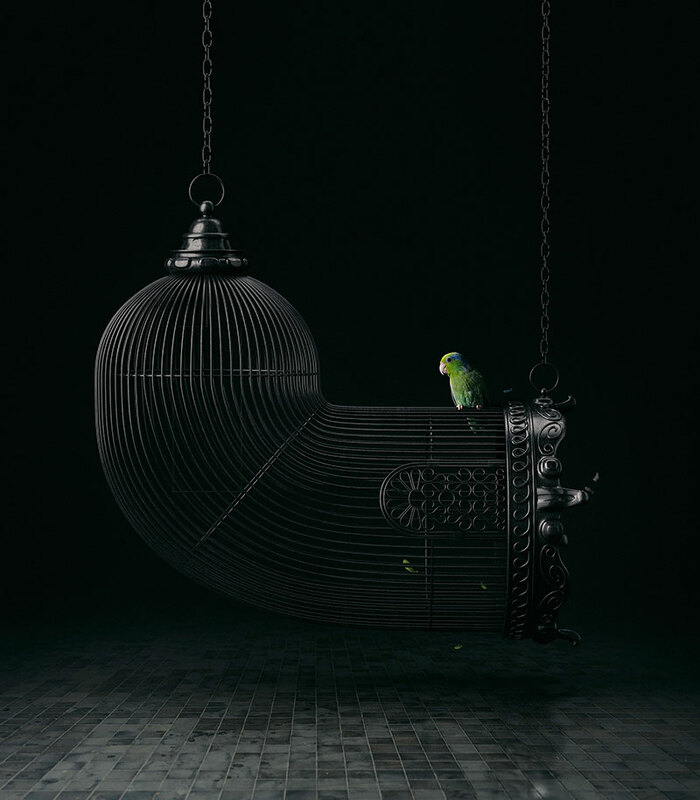 Campau has over 20 years of experience creating powerful imagery for large brands and their high profile agencies. While at the University of Michigan, he dabbled in scientific illustration, graphic design and photography where he finally found his passion for digital art after graduating. 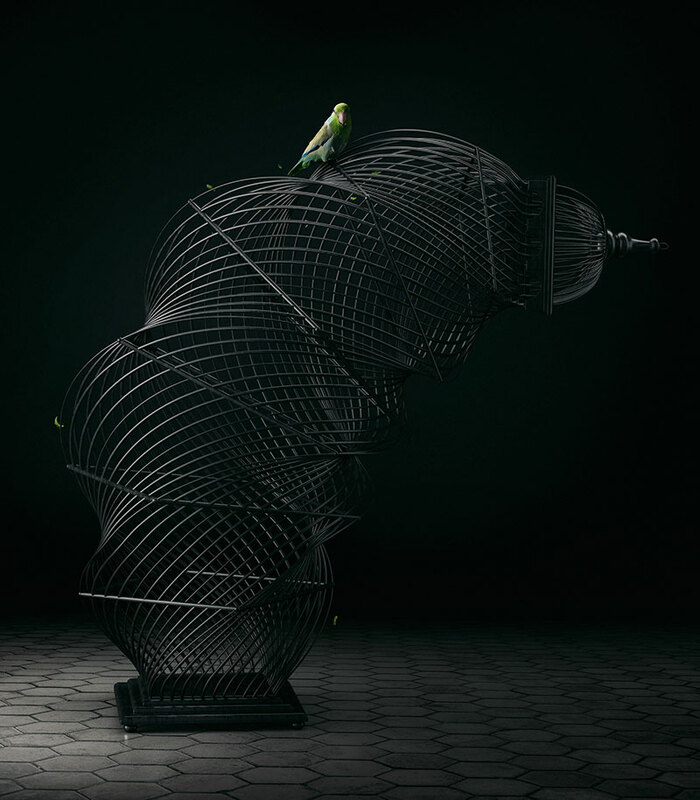 See more of Mike Campau's work on Behance or at his website. 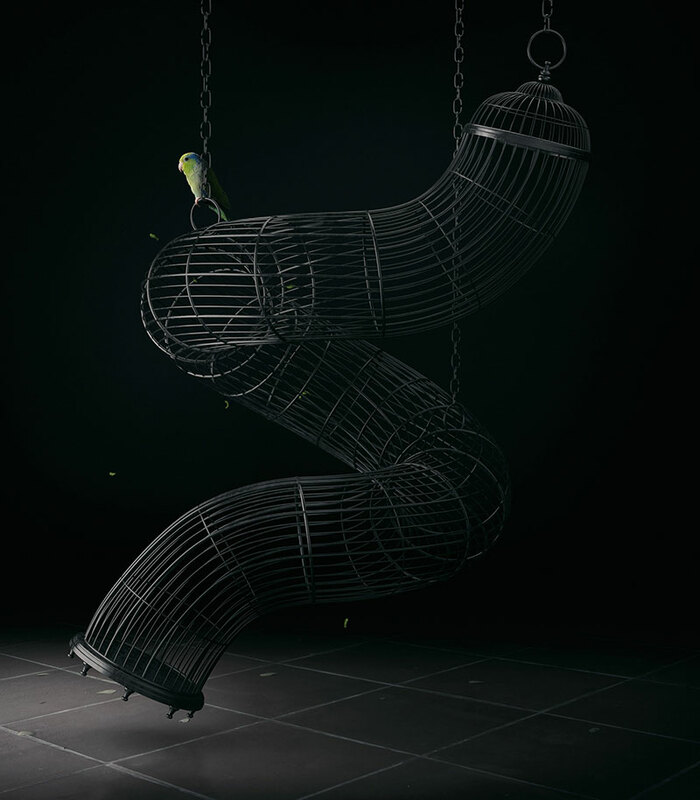 This project by Michigan-based digital artist Mike Campau combines photography with CGI to create what he describes as "an escape from the odd and dark world we live in."